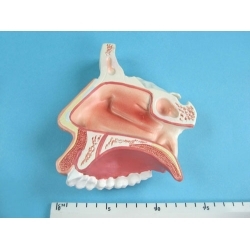 Human jaw, vertical cross section model. 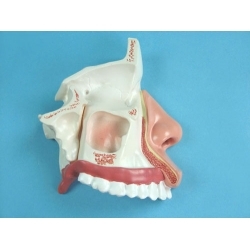 This model helps the students to understand the external and internal structures of the nasal cavity. 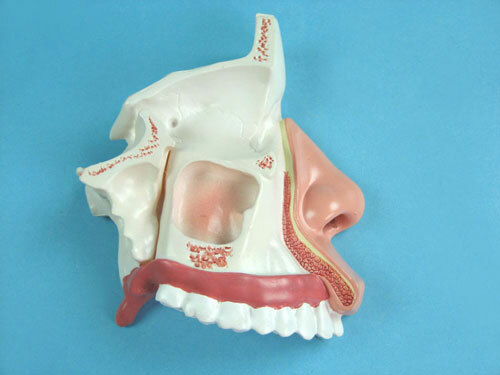 cavity forming the superior, middle and inferior nasal meatuses. Magnified 1/2 the natural size. 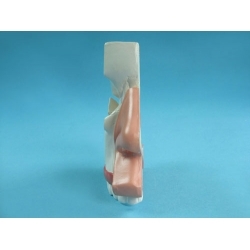 Made of PVC.